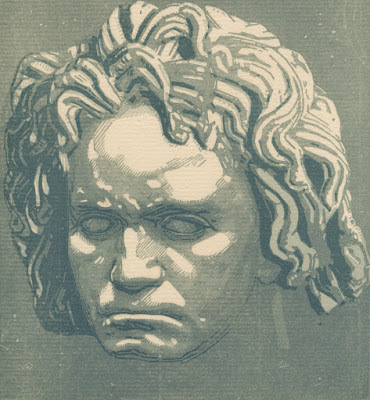 “Beethoven”, 1907, published by the Gazette des Beaux-Arts. 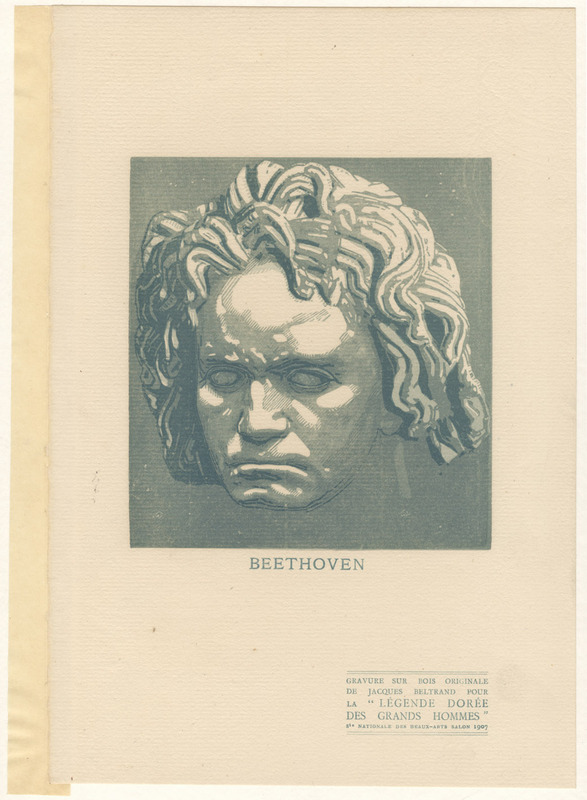 Condition: Excellent impression in pristine condition with a binding hinge attached on the left side. 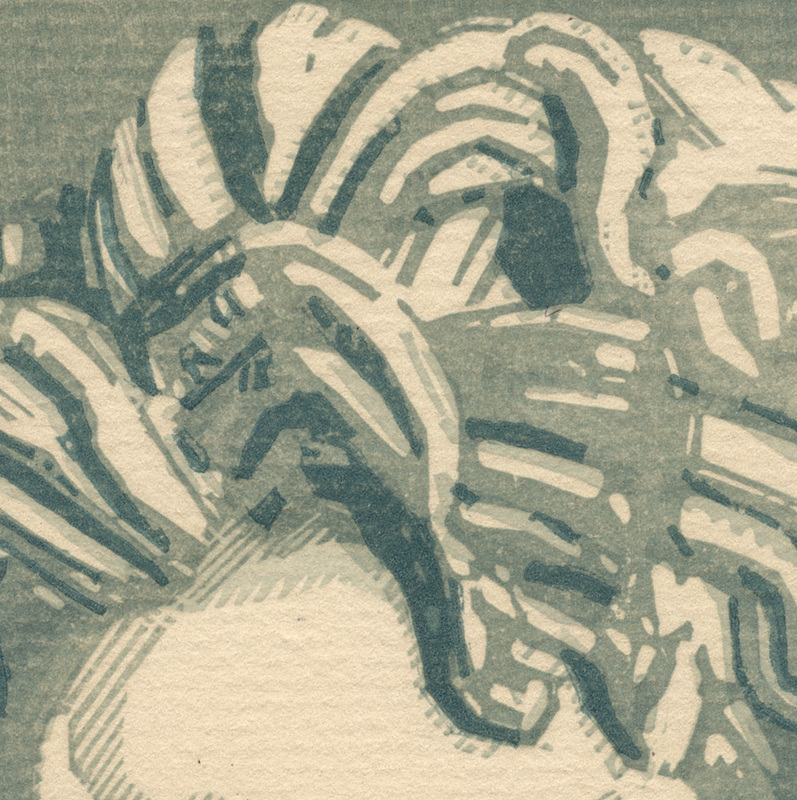 I am selling this small woodcut masterpiece for AU$90 (currently US$70.24/EUR61.18/GBP54.79 at the time of this listing) including postage and handling to anywhere in the world. If you are interested in purchasing this perfectly preserved original print, please contact me (oz_jim@printsandprinciples.com) and I will send you a PayPal invoice to make the payment easy. 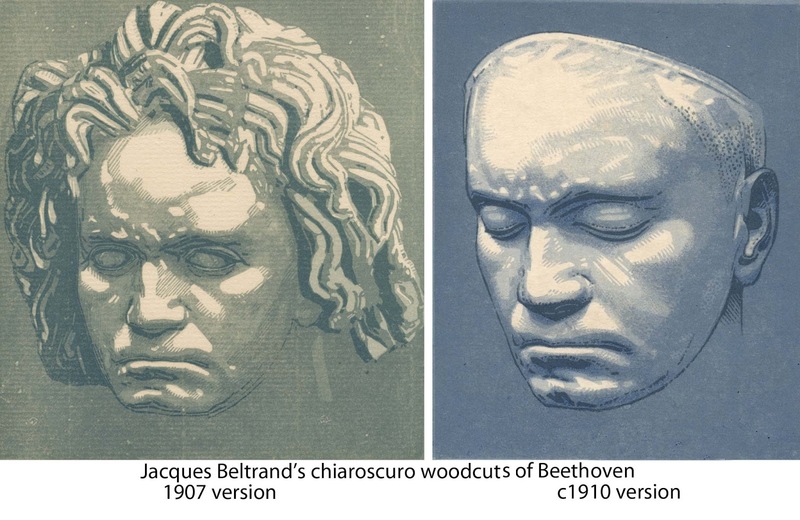 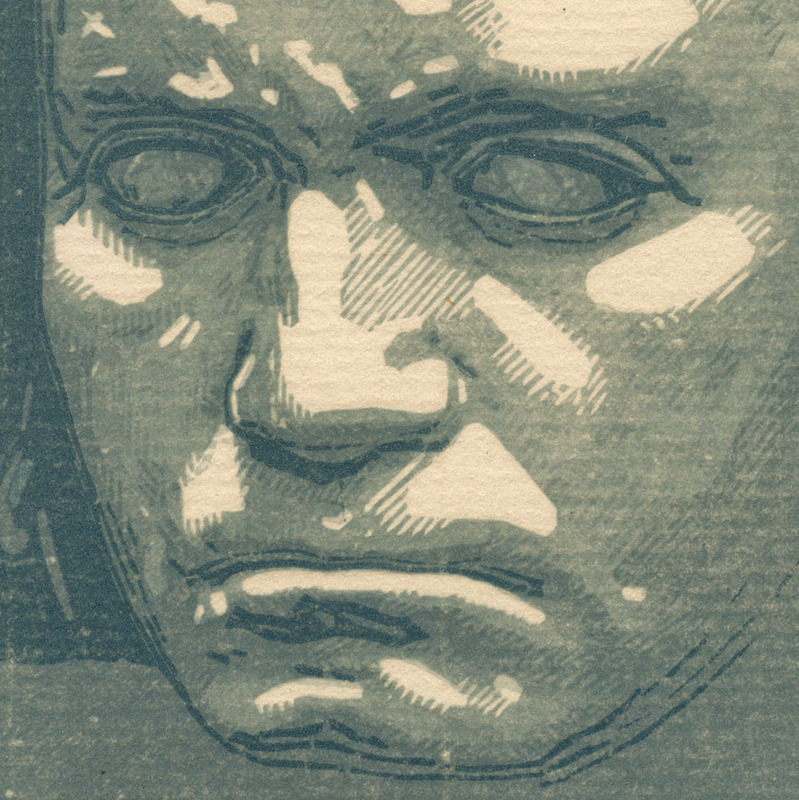 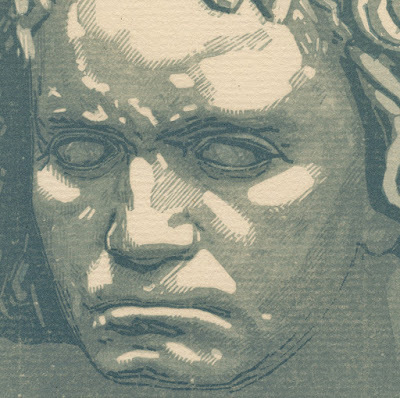 This is the second portrait of Beethoven by Beltrand that I have posted. Unlike the previous post in which the print was hand-signed by the artist in a very small edition of 40 impressions, this original print was published in a much larger edition by the Gazette des Beaux-Arts.